The caption is wrong. 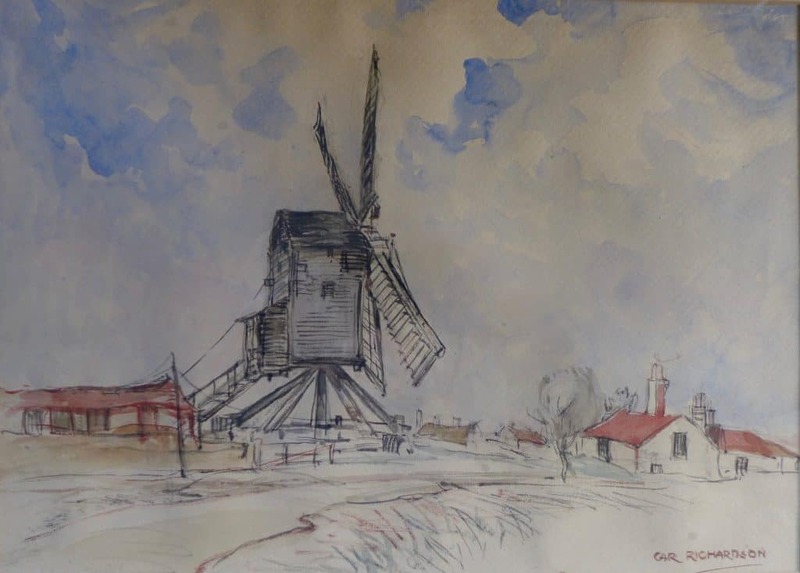 It is clear from the other paintings that this is Toft’s Mill. Toft’s Mill in Friskney. 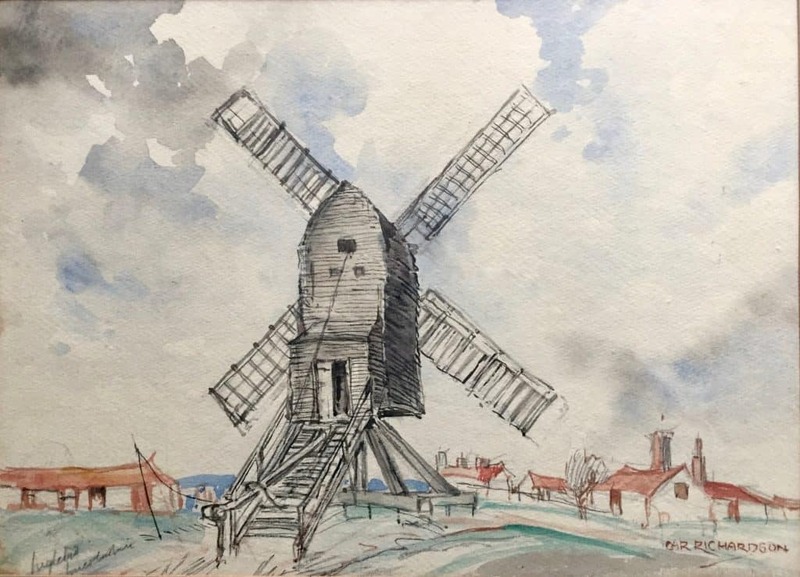 It blew down in 1939, soon after these paintings were made. The third painting is framed. On the back is written Friskney or Wainfleet. 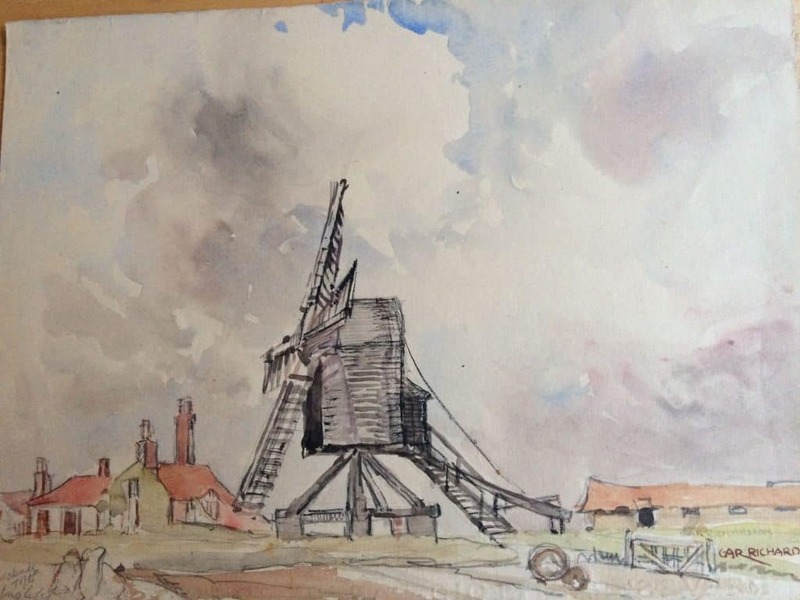 Wainfleet’s mills were all tower mills. This matches Toft’s mill in Friskney, a trestle post mill.